Ready for more? Follow Do Good Bus on Eventbrite to keep up with their events and happenings. Thanks to Silicon Valley startups, grassroots political organizations, and local shelters, there are more ways to volunteer in Los Angeles than ever before. But one company is taking a one-of-a-kind approach to getting people involved. 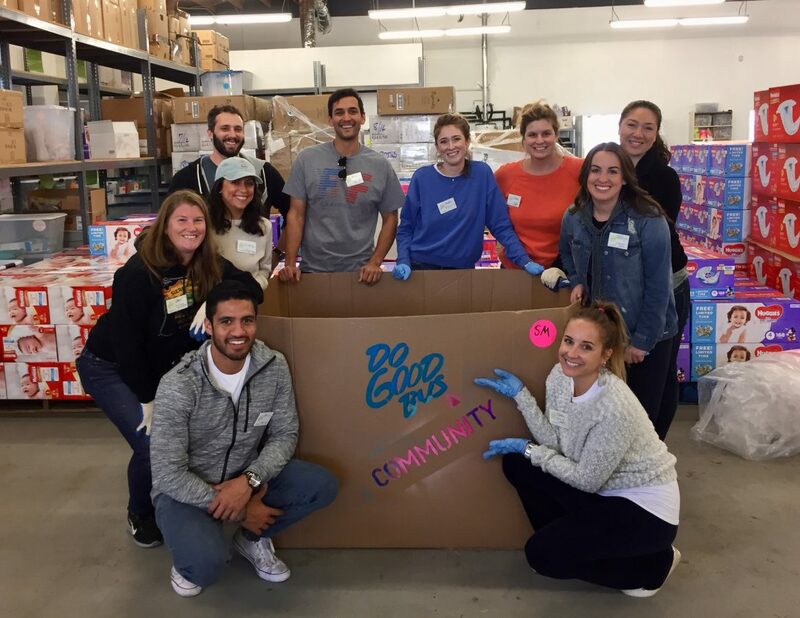 Do Good Bus organizes volunteer events for businesses, groups, and the local community, handling everything from the itinerary to transportation on their own specially outfitted buses. Since 2014, Do Good Bus has hosted 1,225 rides and donated 153,125 volunteer hours — and the best is yet to come. We spoke with Jackie Jones, ride manager at Do Good Bus and the company’s first official full-time employee, to learn more about how this organization is disrupting the volunteering space in LA and beyond. 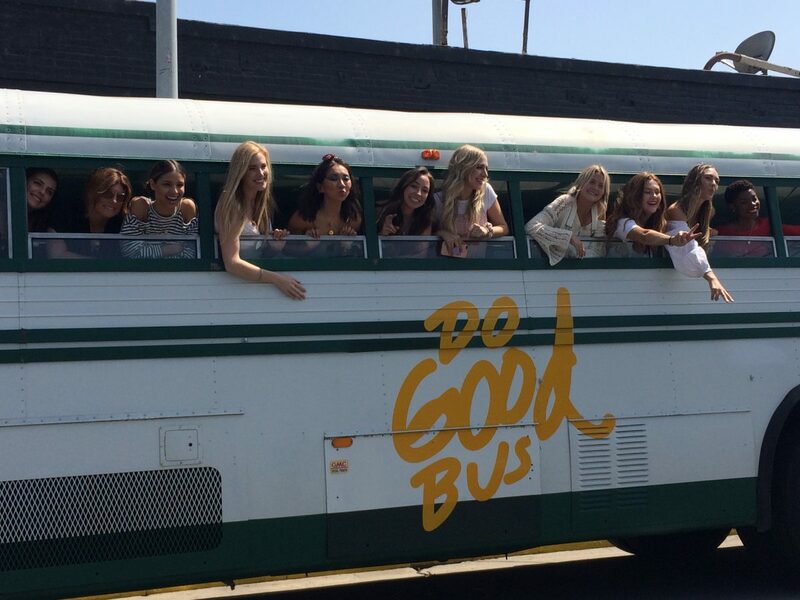 Do Good Bus didn’t start out as a business idea — in fact, it started as simply a birthday party idea. 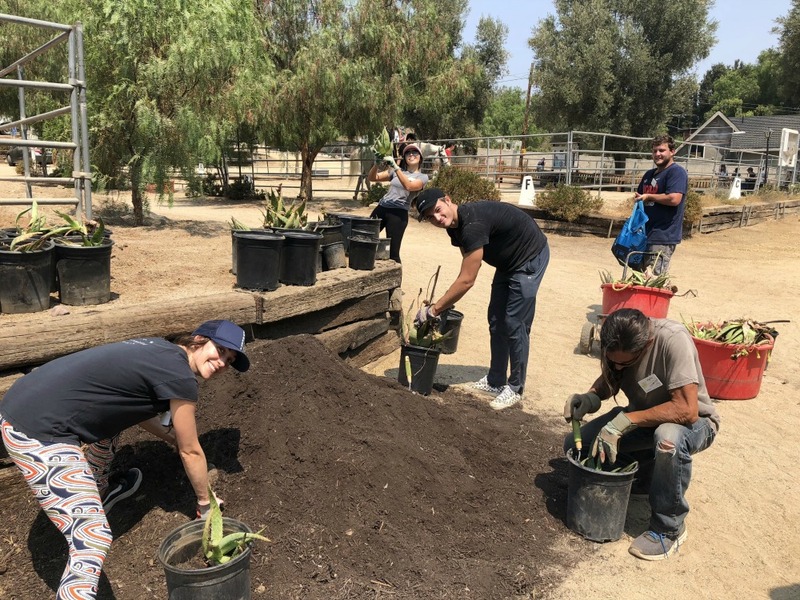 In 2001, Do Good Bus Founder Rebecca Pontius wanted to celebrate her 30th birthday by giving back to the local community, so she hired a bus to transport her and a group of friends for an afternoon of volunteering at a “guerilla garden” in Los Angeles. It was a day filled with good vibes, good friends, and good connections — and turned out to be a birthday Rebecca would never forget. Because after this first trip, Rebecca found herself being asked to organize similar volunteer experiences for other groups. Over the next 10 years, Rebecca helped friends, family, and other in-the-know locals to create meaningful and fun experiences that involved giving back to the community. In 2011, Do Good Bus was officially founded and quickly took off thanks in part to a launch campaign featuring Foster the People (Rebecca’s brother, Mark Pontius, is the band’s drummer and one of Do Good Bus’ earliest supporters). But as Do Good Bus grew, Rebecca realized that she needed more infrastructure to support what was at that time still a completely volunteer-run organization. She turned to another company whose mission is driven by social good: Dogeared, run by her longtime friends Marcia Maizel-Clarke and Merlin Clarke. In fact, Dogeared and Do Good Bus had long been following similar trajectories — Jackie calls it “divine timing.” They became official partners in 2015, and Dogeared took over the operations of Do Good Bus in January 2018. The partnership with Dogeared has allowed Do Good Bus to grow into a more full-scale business, and has led to Jackie’s position as the first full-time employee. But it’s more than just logistical — “[Dogeared’s] whole thing is messaging, and purpose, and being really conscious with the intent of what they put out into the world,” Jackie explains. It’s this shared mission and charity-driven foundation that has made the collaboration between Dogeared and Do Good Bus such a success. There are two main ways to volunteer with Do Good Bus: a corporate event or a community ride. For each, Do Good Bus picks up volunteers at a location, transports them to a local partner where they can give back, and then takes them home at the end of the day. For corporate events, Do Good Bus builds itineraries that not only fulfill a social good mandate, but also help co-workers bond. “We’re guiding the experience all the way through,” Jackie explains. “We want to make sure participants don’t have their heads in technology, and are actually engaging with the people around them.” For this engagement, the corporate experiences are designed to help participants learn more about the people they work with outside of the office; doing something heartfelt and meaningful together helps co-workers build relationships that stretch beyond the workplace. 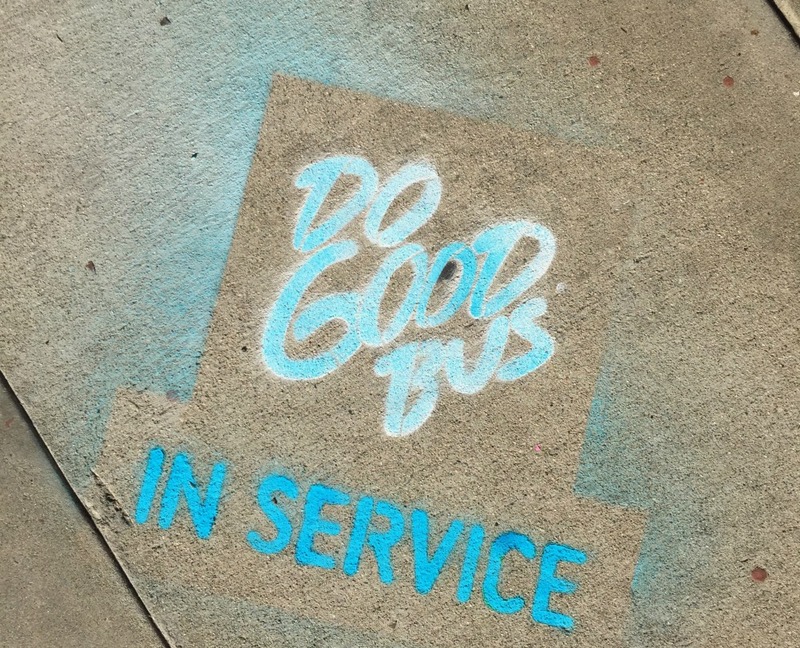 So what exactly might you get to do during your volunteer experience with Do Good Bus? The itinerary changes for each trip, and depends on factors including day of the week, time of day, group size, and location, as Do Good Bus likes to limit the drive time to 30 to 45 minutes. All together, a Do Good Bus ride usually lasts around five hours in total. As far as the monthly community rides go, volunteers will know the general category: Good People (helping people), Good Boy (helping kids), Good Earth (helping the environment), Good Dog (helping doggos), or Good Hands (helping with your hands). Past Do Good Bus trips have brought volunteers to animal shelters, elementary schools, community gardens, and food banks. “We’re shifting the culture and focus of what it means to be of service,” Jackie explains. Some of Jackie’s personal favorite Do Good Bus experiences have been visiting an equine therapy center for children with autism, assembling and distributing starter kits for single parents with Jessica Seinfeld’s Good+ Foundation, and #LunchBag, where volunteers make and hand out bagged lunches to the homeless. 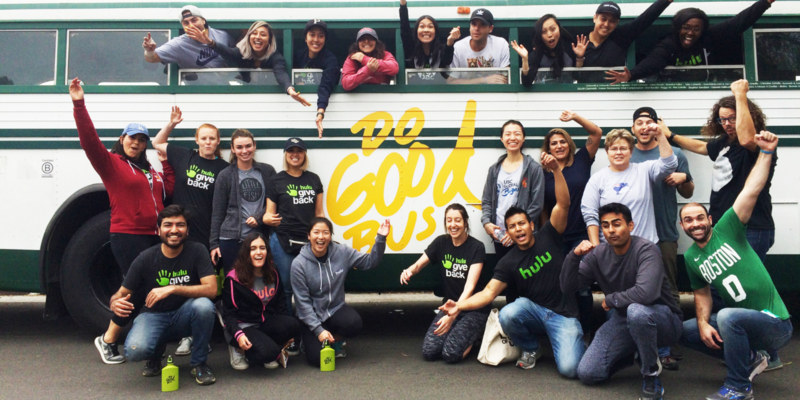 Do Good Bus is only ramping up — in 2019, the organization plans to start testing routes in San Francisco, Boston, and other U.S. cities. They also plan to do more sponsorships and partnerships with brands like Diff Eyewear, which donates a pair of reading glasses to someone in need for every pair sold. 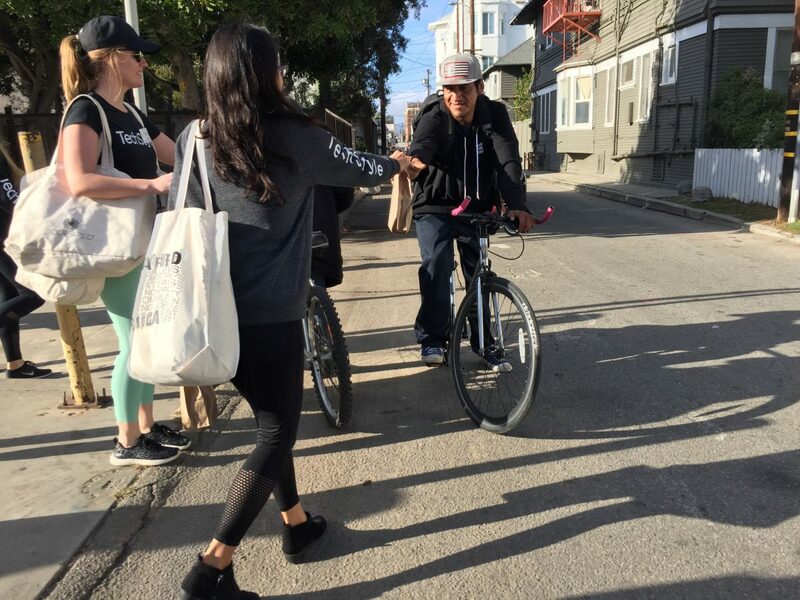 “This one-for-one concept and conscious capitalism is what we’re all about,” Jackie says, adding that they hope to continue to build relationships with other social good brands that can help them give back from start to finish of every ride. With gas in the tank and the open road in front of them, the possibilities are infinite. Want more? Never miss an opportunity to hop on the bus. Follow Do Good Bus on Eventbrite to keep up with their events and happenings.